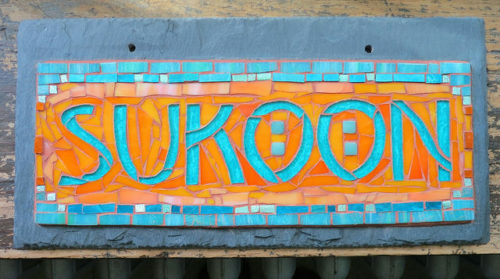 Sukoon Mosaic by Nutmeg Designs, glass on slate, 12×6 inches, $175. SOLD. Commissioned by a client for her inspiration in her office. She defined this Urdu/Arabic word as meaning peace, bliss, contentment, when all is right with the world, and something she seeks. I hadn’t heard this word before and I like knowing there are words yet to be discovered to describe well being. Stratozpheric Joy in Orange and Green. Stained glass by Wayne Stratz, 8×6 inches, $89. When Stratoz was deciding on a color for the joy in his suncatcher design, I voted for orange. I believe it was a good choice. 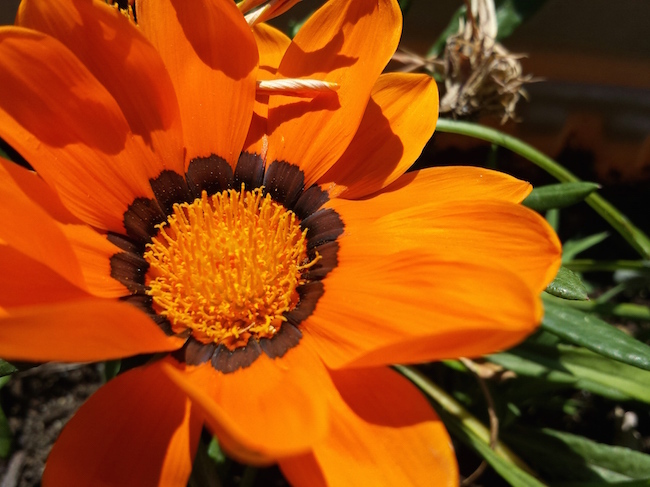 Gazania from the Garden of Nutmeg Designs. Photo by Wayne Stratz. Stratoz took care of me with a photo of this Gazania flower for my Orange Tuesday. Gazania are from the Aster family and originally from South Africa. They like the sun, and open when it shines bright and then close up at night, looking as if they are dead. Also known as Treasure Flower, they are indeed like little pouches that contain the coin of vibrant color. Ruchi Gupta. Birds at Noon Ceramics. When the sun of compassion arises, darkness evaporates and the singing birds come from nowhere. 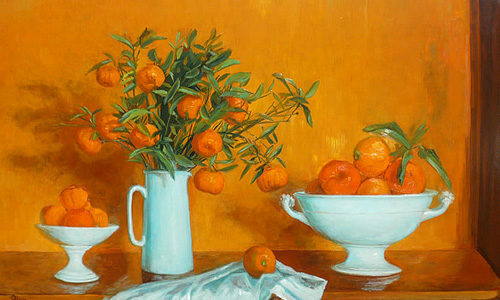 Margaret Olley caught my attention with her orange tones which occurred again and again in her still life paintings. Orange walls, orange objects, oranges. 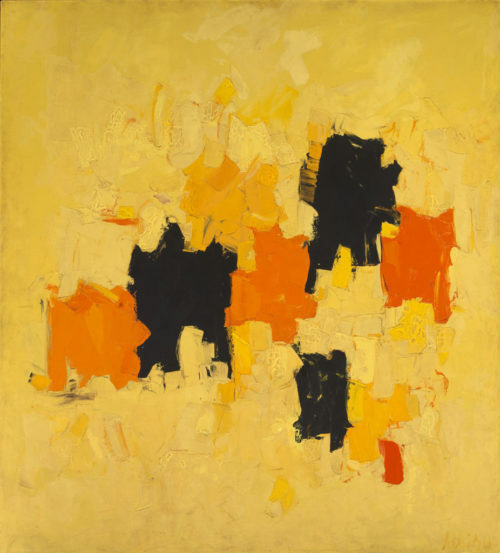 To my delight I discovered she had an orange dining room, and often painted there, as well as a yellow living room and a green kitchen. Mandarin oranges are one of the few fruits I remember fondly from growing up in Edmonton, AB. We would buy a crate at Christmas time, and the thin leathery skins were easy to peel with just a bit of pressure from your fingers. I made a dollhouse from one of the wooden crates. 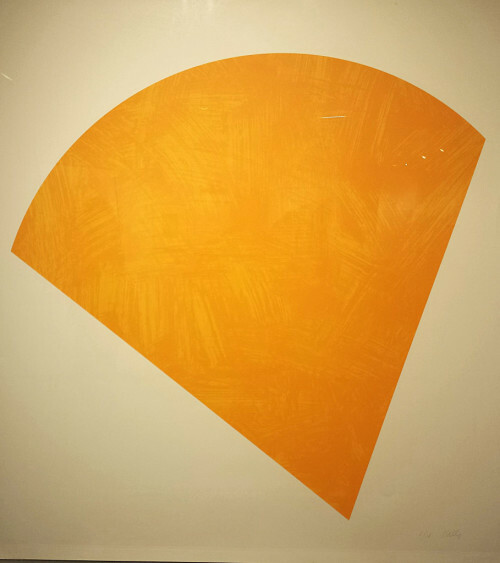 Untitled (Orange) 1988, by Ellsworth Kelly. Lithograph. 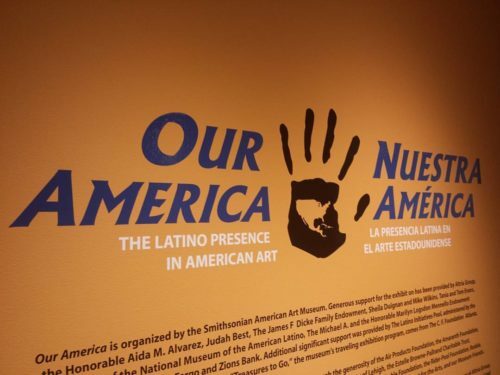 Berman Museum of Art, Collegeville, PA. Photo by Wayne Stratz. 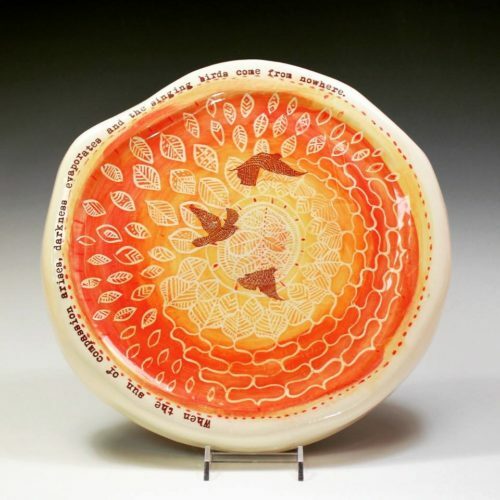 Art Deco Switch Plate in Orange and Copper by Margaret Almon. Duplex outlet and single toggle, $55. 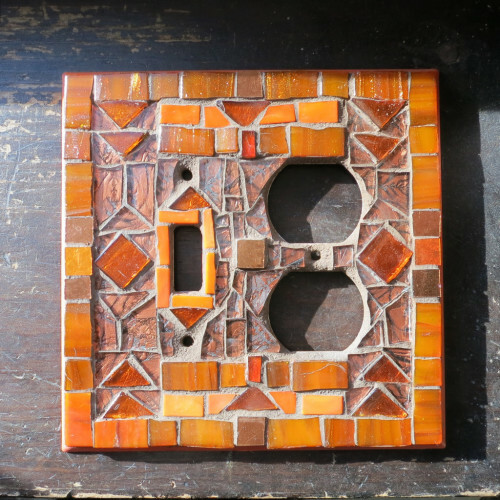 A switch plate to be set into a newly painted orange kitchen backsplash was a commission made for my orange-loving heart and suited to the geometrics of Art Deco. Switch plates and their kin, outlet covers, and the various combinations they come in make for numerous configurations. Each type has its own character. This one had a single toggle, or single-gang switch, combined with a double outlet for plugs. Of course it was different than the others I’ve made! Add another combination to the repertoire and send me an email if you are searching for your own light switch or outlet cover. 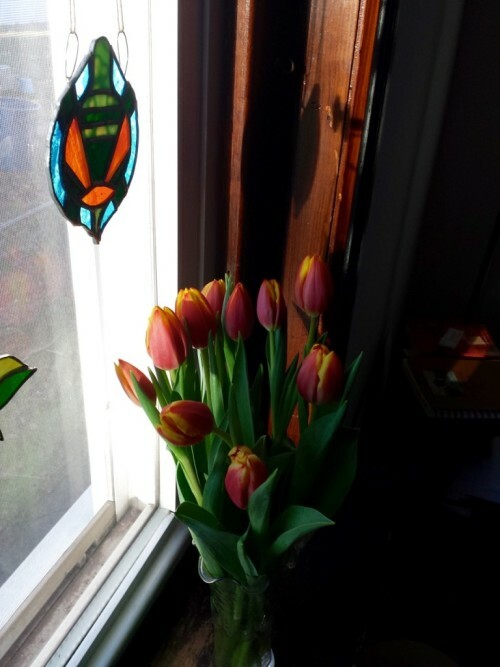 Tulips with a Stratozpheric Turtle Suncatcher, $75. The January Cure has come around again, and Stratoz and I are giving our house some attention. Besides cleaning tasks, there is the task of buying flowers weekly, and the color is a lift in the winter. Another task is to sit in a place you don’t usually sit, and observe the new view for 10 minutes. Taking this photo I noticed that the turtle is swimming in blue water. How did I not notice that before? How much of our homes do we actually see? How much of our lives? Stratozpheres for critter suncatchers, including the Stratozpheric Turtle Suncatcher.